A day after two independent MLAs withdrew support to the ruling coalition in Karnataka, Congress General Secretary K C Venugopal Wednesday asserted that none of his party legislators were going to quit and said a clear picture would emerge tomorrow. "Not even one MLA is going to quit Congress. I have contacted my MLAs, and therefore, I am telling you this very confidently. In fact, by Thursday evening, you will have a clear picture about Karnataka," he told PTI here. 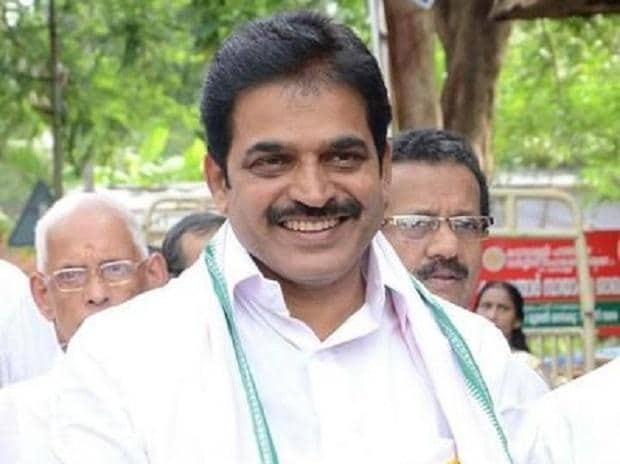 Venugopal was responding to a query on media reports about some Congress MLAs led by Ramesh Jarkiholi planning to quit the party and join hands with the BJP to topple the Kumaraswamy led-government. Last month, Jarkiholi was dropped from the cabinet. He was also reportedly seen rubbing shoulders with top BJP brass and often gave cabinet and party meetings a slip. As a result, his office was handed over to brother Satish Jarkiholi. According to media reports, Jarkiholi and a few other MLAs were lodged at a hotel at Mumbai. The former minister is in touch with the BJP leadership to reportedly reduce the strength of the government by eliciting support from at least 14 Congress MLAs. This unholy bid by the BJP, Venugopal said, would not materialise. "It would be a big slap on the face of BJP as it is going to fail in its endeavour to bring the government down. Their shameless motive to destabilise the government is going to be a big failure. It will be a national shame for them," he said. Asked about plans of the BJP to weaken the coalition partners in the run-up to the Lok Sabha elections, Venugopal said, "How can you (media) say that? Then, why is it that they are taking their MLAs from one hotel to another?" Meanwhile, BJP General Secretary Muralidhar Rao said it was wrong on part of the Congress to charge the BJP with attempting to "topple" the government. In a setback to the coalition government on Tuesday, two independent MLAs R Shankar and H Nagesh withdrew support amid charges that the BJP was engineering defections to topple the H D Kumaraswamy government. Rao said the withdrawal of support to the coalition government by two independent MLAs was an offshoot of internal bickerings among Congress leaders, mainly D K Shivakumar. Attacking Shivakumar, Rao said he was the main culprit behind the fresh political turbulence as he wanted to project himself as the "true loyal Congress leader".